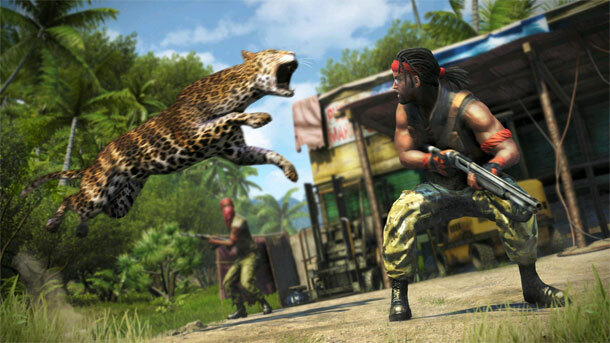 Far Cry 3 is on top of the UK games sales charts as the year 2013 begun. Far cry 3 has replaced the leading game Call Of Duty: Black Ops 2. Year 2013, has started with increase in video games sales. First-Person-Shooter (FPS), Far Cry 3 has replaced FPS Call Of Duty (Black Ops 2) with leading sales in first week of 2013. CVG,videogames website, has reported that Far Cry 3’s may have rise to the top due to the recent discount promotion across retail. Far cr3 has ended Black Ops 2’s unbeaten six week run at top of the UK’s games sales charts. FIFA 13 also improved its position by climbing back to second position -may be due to many football fixtures over the Christmas holidays.Hitman: Absolution however slipped to 4th position. Its strange that no Nintendo Wii U title is there in the top 10 yet.